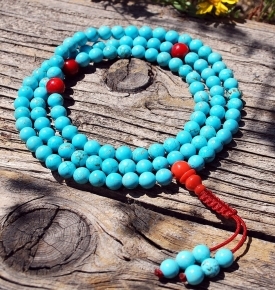 These are very small, 5mm color Mini Mala Turquoise color beads with coral colored markers, offset with golden crystal glass spacers and a guru bead on stretch cord. 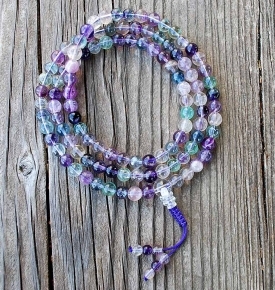 Can be used as a bracelet mala too! On closeout, no returns accepted. 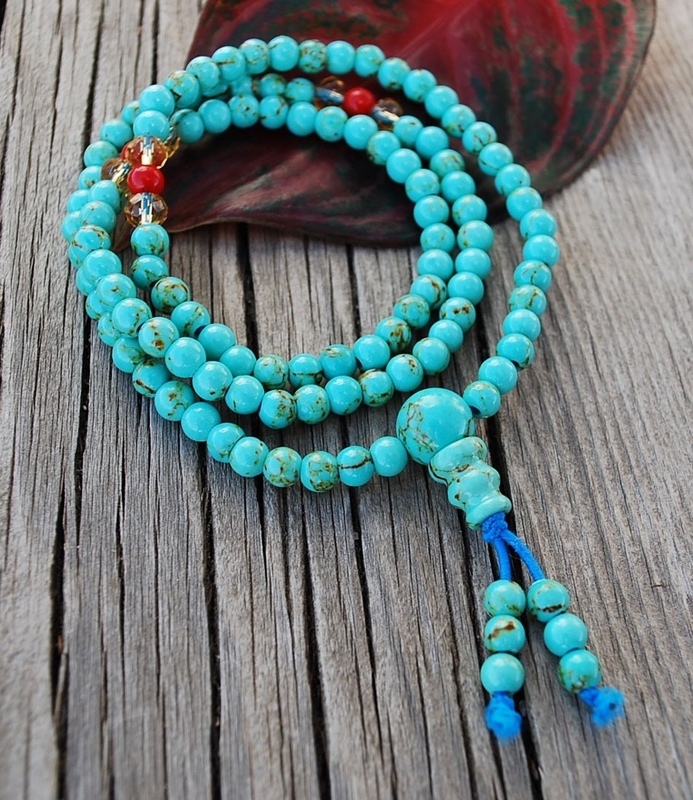 These are Turquoise colored beads and guru bead. Imported. 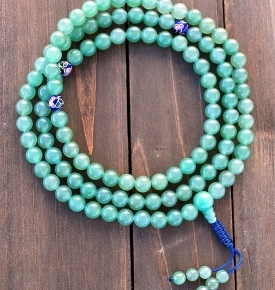 The two beads are of slightly different diameter, but the quality appears to be fine. 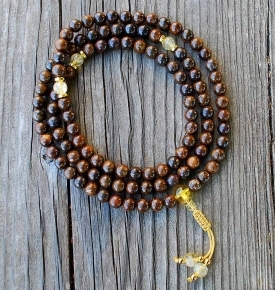 I wish they were a little more speckled as in the picture.